This weekend, women all over the country are taking to the streets to march on the one-year anniversary of Donald Trump’s presidency. It’s also the anniversary of the first Women’s March. Proving once and for all that he’s totally clueless, Trump’s tweet about the 2018 Women’s March really missed the point. A group of women organized the first march the day after the 2016 election. Saddened and scared that the country elected a man who was accused of sexual assault by 19 women, who campaigned on racist and isolationist immigration policies, and whose vice president built a political career on the backs of women’s reproductive rights and the LGBTQ community, a Facebook invite to march on Washington, D.C., quickly turned into an organized political movement. The Women’s March isn’t just about being anti-Trump, as his tweet during the 2017 Women’s March suggested. And it’s not just about women. It’s about fighting for intersectional feminist policies, civil rights for immigrants, people of color and the LGBT community, the importance of science and climate change — and yes, making sure everyone knows that millions of women are offended by the ideas Trump and his supporters represent. 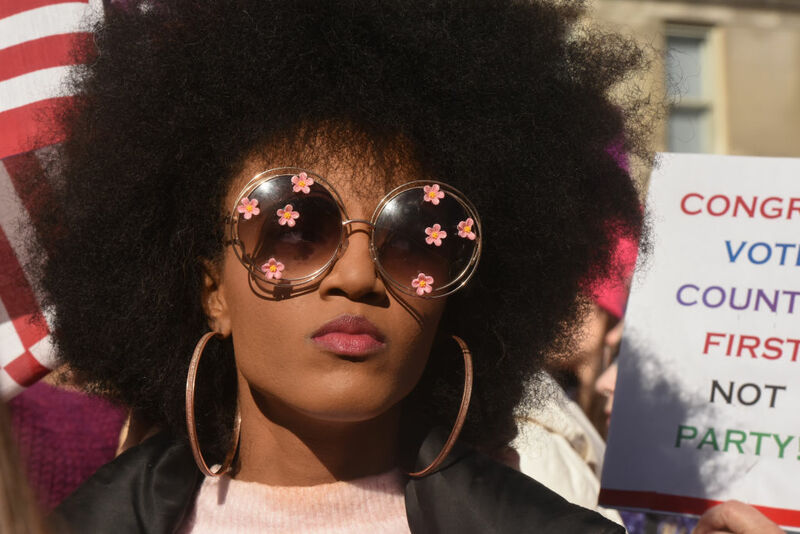 The Women’s March is about unity, and this year’s event focuses on the 2018 midterm elections and voting Republicans who support Trump out of office. Given Trump’s insatiable need for approval and praise, it’s not surprising that this bothers him. If anything, it protests every single thing he’s done in office so far. None of it benefits women, marginalized communities, or anyone who’s not already wealthy. In addition to sitting by while Congress shut down the government Friday because the two chambers couldn’t compromise on immigration policy, Trump also spoke at the March for Life rally, which is one of the most anti-feminist events in the country. Trump isn’t about women. His tone-deaf tweet proves he either doesn’t understand what the Women’s March is for — or he just doesn’t care. At this point, do we expect anything more? The one thing he got right is that it was a beautiful day to march, for women and anyone affected by the Trump administration’s dangerous policies. Don’t let his tweets get you down.